Great family campground. We came for Halloween weekend so water parks were closed but looked to be a lot of fun. Very well maintained park with good size spots. They have a lake, several pools, including an indoor pool for late in the season. We got rained out for most of the weekend but will be back during the summer. Staffs were very friendly and even though we arrived after check in they still had staff available to guide us to our site. Have created a tradition in our family to go to Yogi every year at the end of summer! it’s a great place to swim, ride bikes, do crafts, play bingo, and a wide variety of fun activities for the whole family! It’s a little pricey but TOTALLY worth it!! crowded but kids love it! You might just step out of your camper and look straight at your neighbors. Starting to think all Jellystones are like this. 5 pools! water slides cost extra. Food prices are reasonable. No bike riding after dark. Lights at playground shut off and they will patrol it. Traffic on road can be heard at the sites near the back. Yogi Bear JellyStone Park at Barton Lake is located in Fremont, In and to me was noisy, crowded and stressful. That being said, my daughter and granddaughter absolutely loved it, so I sucked it up and "enjoyed" it. Ultimately though it was a lot of fun spending time with them at the park. The staff was super friendly, helpful and seemed dedicated to visitors enjoying themselves. On our last day my camper tire was low and one of them stopped what she was doing, escorted me to the maintenance garage and found one of the maintenance guys who in turn drug out the air hose and gauge attachment, checked and filled both tires then asked if I needed help with anything else. The actually campground was packed but very well maintained and clean. There are cabins, cottages and permanent campers as well as the daily spots. We were escorted to our site, offered help with set up and soon after a gentleman showed up checked and cleaned out our fire ring. This campsite is so much fun. It's not where I would choose to go if it were just me, but the fun they have for kids is unbeatable. 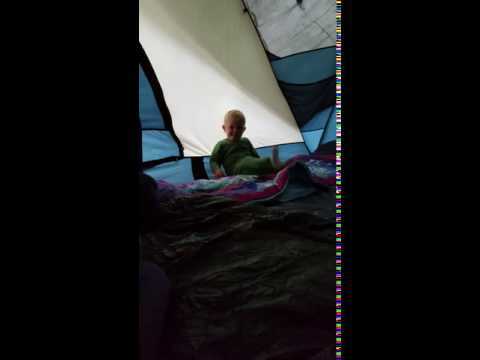 They really make camping a fun experience for little ones.